Need help with your dirty carpet? We can help you out! 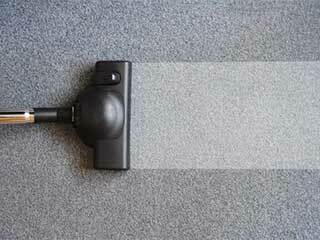 Get your carpet professionally steam cleaned! Schedule your appointment online today! It's Friday night. The kids are already in bed, the fireplace is prepared and you sit on the sofa enjoying your book. Suddenly, something smells like burning. Check your oriental rugs. This is one of the most common mistakes we all do: put the rug too close to the fire. Whether you own machine or handmade rugs, they will still catch fire. It takes only one spark and here you are trying to find ways to restore fire damage (after extinguishing it of course). Apart from putting your house in such risks, you also reduce the lifespan of your rug. If we're talking about handmade ones, it's a shame to ruin a rug that could last for generations. Keep in mind that fire is not your only enemy or rather should we say your rug's enemy. Water is an enemy, too. Dirt, stains, and pathogens are also enemies. If you want to keep your wool rugs for years, take care of them. Rugs can really outlive you. When you pay a lot of money to buy genuine handmade Persian rugs, you surely want your daughter or son to enjoy them one day, too. They can pass from one generation to the other and only bear the signs of time without being ruined. There are five things you can do to protect them. The first one is related to fire damage and the least you can do is to buy fireplace protection and move your rug a bit farther. The second thing you can do is to avoid putting it in an area where it will be constantly exposed to the sunlight. Natural colors fade fast and will diminish the value of your investment. The third protection measure is related to their storage. Most people owning rugs like to store them when the weather is hot. There's nothing wrong with that except from the fact that most rugs are not stored the right way. Avoid putting them in the basement or any other place in the house where it's damp. The fibers will get damp, too. If you think about it, this is the worst thing you can do to them. Moisture will be absorbed by fibers, which will eventually smell bad. With good cleaning and by airing them before winter comes, odor might go away but don't forget that mold development is also possible. This brings us to the fourth way of protection. Taking care of water damage at once is essential. The faster you dry and treat wet fibers the less the chances of mildew growth. Mold destroys the fibers and the rug might have to be thrown away. As an overall, rugs need good care and this is the fifth way you can protect them from time, dirt, germs and dust. Frequent rug cleaning with vacuum cleaners, proper soaps and white vinegar will enable you to make a nice family gift to your children. Stop scrubbing and give us a call! Our company is at your service when it comes to difficult stains on almost every surface from your carpet or tile floor to your couch. We have the experience, the equipment, and the commitment to make sure you will be satisfied by the end of the day! Give us a call. Have any questions about having your carpets cleaned? Need more information? Leave your contact information below and one of our experts will get back to you shortly. Your cleaning service is set! Thank you for choosing Carpet Cleaning Orange! Until our appointment, check out our website for blogs, tips, FAQs and more!